Chi Energy Instructor, Don Brown goes over the differences between perfection and being precise. 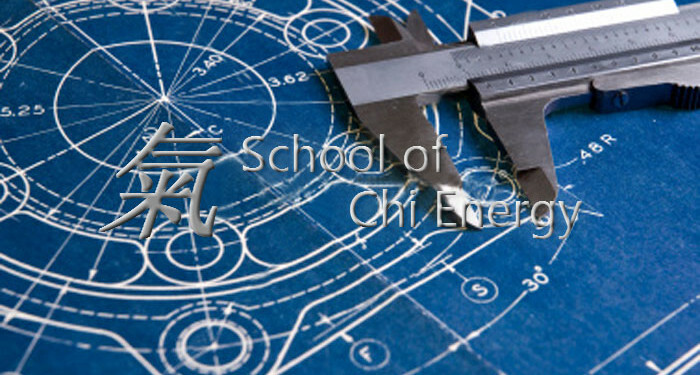 At the School of Chi Energy, we teach an energy cultivation method that gets stronger & more powerful as the Student is able to be more precise with their bio-energy. In recent conversations with Sifu Jones, I became increasingly aware of a phrase he had been using with deliberate specificity: This is about precision. I began turning this over in my mind. Perfection VS Precision in Chi Energy Training. I realized that my visceral response to precision was less than precise: I was leaning closer to chasing perfection as opposed to what Sifu Jones was actually saying. [*]Precision: the quality, condition, or fact of being exact and accurate. [*]Perfection: the condition, state, or quality of being free or as free as possible from all flaws or defects. Perfection is not within human agency. The phrases we use praise a job well done for a performance or an object, such as “flawless technique” or a “flawless diamond”, highlight the fact that it is something amazing simply because: that which is truly perfect is not within human capability. Precision, however, is very different indeed. Precision speaks to mindfulness, active mindfulness specifically. If the biophotons are too cold, they are less likely to lump together; if they are too hot, the unpleasant side effects of yang training begins to take hold. Like “Goldilocks and the Three Bears”, the temperature has to be “just right” for the biophotons to clump and take form. Tools like a temperature gun give us exact and accurate readings allowing us to take corrective steps so as to stay within the prescribed temperature range for effective training. We have been encouraged early in our form training to be mindful and “keep the form from morphing” – no small task for beginners and seasoned practitioners alike. To be sure: we are not perfect. The mind wanders – get it back on track. The form itself will morph and take on different shapes and attributes based on our temperature control, intensity of focus, and as such, can cause unforeseen (read “unwanted”) side effects. There are many reasons, recently validated in the advancement of quantum physics, as to why this method is circular in nature. Our task is to form the biophotons and: hold. Emotional content is a critical aspect of chi training and, although this is not license to, should you find yourself veering outside of the specified temperature ranges or you find that your form is morphing, the correct emotional content can be your saving grace. Sifu Jones has said this many times and it is worth reiterating here: Chi, particularly this method of chi building, amplifies everything – good or bad. This is why the importance of directly and specifically associating good feelings of joy and a sense of well being with your chi training, the form and the energy itself is of great importance. If your form morphs – you still feel and amplify a sense of well being. Should you find yourself outside of your cylinder and speaking linearly – you are less abrasive. Better still is to practice precision with active mindfulness. Mindfully regulating the temperature of the chi leads to better forms; better forms lead to better results and; better emotions lead to better temperature control and feedback of and within the form. If it seems circular, that’s because it is. The design is mindful and deliberate.